The Ponies baseball team is state champs! They shut out Minnetonka 4-0 led by pitcher Drew Gilbert's 15 strikeouts. The Ponies finished out the season with 20 straight wins. It's the team's first consecutive first state championship since 1991. Watch highlights from the game. Four teams placed second at state, including boys cross country, boys soccer, boys Nordic skiing and girls synchronized swimming. It's a great time to be a Pony! 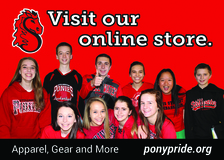 Show your Pony Pride with some spirit wear. We have teamed up with Heritage Embroidery to offer t-shirts, sweatshirts, hats and more! Visit our website at PonyPride.org. 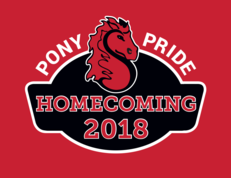 Join us for our 2nd annual Pony Homecoming Carnival on Friday, Sept. 28, 2018 on the Stillwater Area High School campus. This free family-friendly event is designed to bring our entire community together – from Woodbury all the way to Marine – and celebrate what it means to be a Stillwater Pony. The carnival will feature traditional carnival games and prizes, activities, stage performances, and food trucks. It will bring together current students, alumni, community members, local businesses and anyone else who bleeds Pony red! 2-6:30 p.m. Carnival open to high school students from 2-4 p.m. and the public from 4-6:30 p.m.
Stillwater Area Public Schools is now accepting applications for the from district residents who are interested in serving on the school board to fill a vacant director position. The appointee will serve until December 31, 2018. Applications will be available at the Superintendent’s Office,	1875 South Greeley Street, Stillwater, MN 55082 or may be downloaded from the district website. The deadline to submit applications (including a completed application form, cover letter, and resume) to the Superintendent’s Office by 3 p.m. on June 29, 2018. More information.